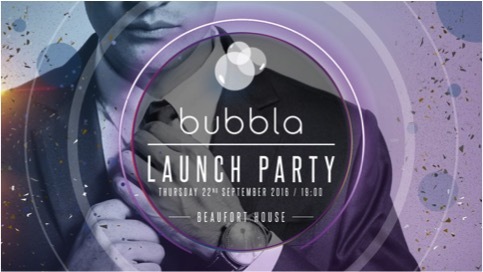 We are proud to announce that Beaufort House Chelsea has been chosen as the venue to host the Bubbla Launch Party. Ben Carey, an ambassador of Beaufort House, had an idea over a year ago that revolutionises the way people discover, connect and socialise in everyday life. Ben’s dream is now becoming a reality, and he’d love you to join us to celebrate and learn more! This exciting launch event is taking place in our exclusive member’s lounge on Thursday 22nd September from 7.00pm and all guests will receive 2 complimentary drinks on arrival to kick-start the party, it’s going to be a night not to miss!